Last week, I flew to my hometown of Pittsburgh, PA for a few days because my dad was having knee replacement surgery. Most of the time when I return from a trip visiting family, and friends and coworkers ask how my trip was, I usually respond with some sort of “Proud Aunt” story concerning my niece and nephew. I am not overselling this. I transited security WITHOUT ANY BINS. Do you know how many bins I usually need for the conveyer belt? At least two. Sometimes three if I packed both my work and personal laptops. This time? Zero bins. Shoes stayed on my feet. Liquids stayed packed in my carry on. Laptop remained in my bag. And I wore my coat. I would’ve timed how long it took for me to transit security, but I didn’t think to do that in advance. But I literally think I transited security in less than 20 seconds. 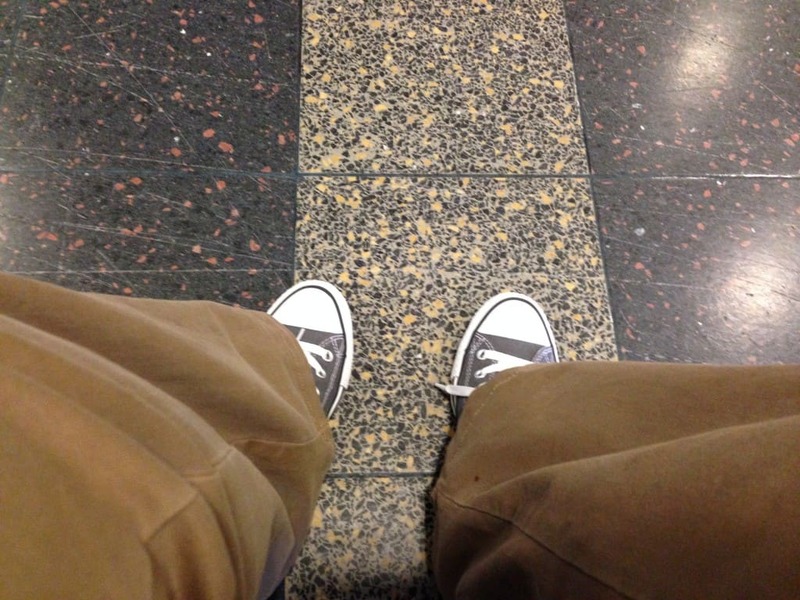 Shoes stay on the feet transiting TSA airport security line! The best part is, TSA Pre-Check is just a perk of the actual program I wanted, which was Global Entry. So let’s back up a second. 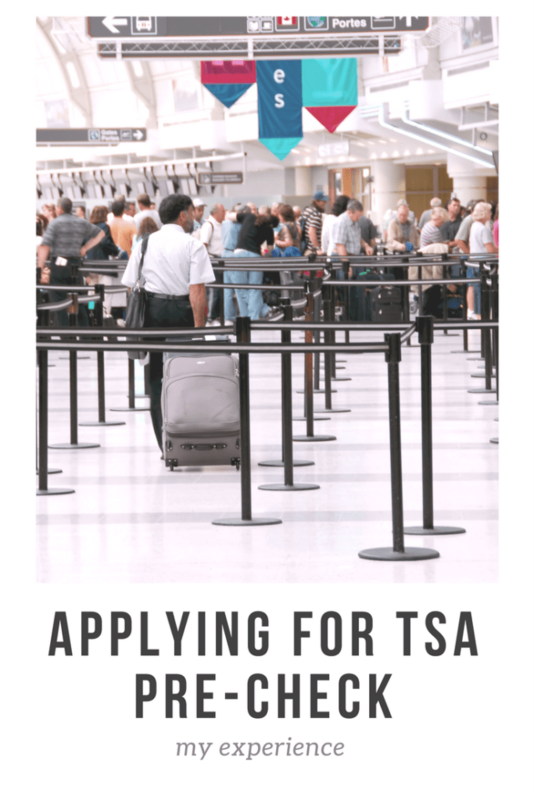 Global Entry, in a nutshell, is a program that you apply for that serves as an expedited method of allowing low-risk U.S. Citizens to transit U.S. immigration lines more quickly. If you have ever returned to the United States from a trip abroad, you know then that the immigration lines at U.S. airports can be awful. And after a long flight from Europe or Asia, standing in an hour-long line is the last thing you want to do. But alas, it is an unfortunate, but necessary part of travel. The last time I went through a U.S. immigration line, it took over an hour. I had heard the term “Global Entry” floating around on several frequent flyer blogs, but never really paid attention. But now with planning our upcoming trip to Russia for the Winter Olympics in Sochi, I started to do a bit more research. Applying for Global Entry is $100 per person and it lasts for five years. I have an American Express Platinum card, which reimburses the fee for Global Entry. When you get to the payment screen for Global Entry, just use your Amex Platinum card to pay the $100 fee. Within three days, the $100 had been credited back to my Amex account. Ken does not have an Amex Platinum, so he was not reimbursed for the $100 Global Entry fee. 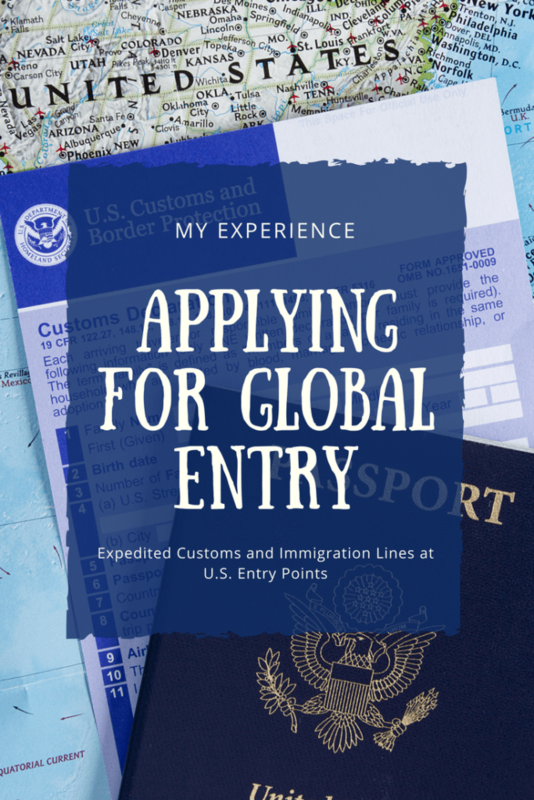 The application for Global Entry did take a decent amount of time to complete, especially since I had changed jobs and moved several times in the past five years. We both applied on the same day and received our conditional approval within a week. The conditional approval allows you to set up an interview. We both selected interview time slots, and attended the interview — a required step for Global Entry. The CBP officers that interviewed me were very professional and courteous. Ken said the same for his interviewer. We received full approvals shortly after the interviews were completed. Ken and I both have clean records and probably no other red flags. So I’m sure if you have some issue in your personal history, it could take a little longer. When you are approved for Global Entry, you are also, by default, approved for TSA Pre-Check. I had not realized this was a benefit until fairly late in my research. But once I did learn that it was a benefit, I think I became more excited for Pre-Check than Global Entry, because I will utilize Pre-Check more often than Global Entry, since I fly domestically much more than I do internationally. But, I must say, I am even more excited now for Pre-Check than I am Global Entry! My experience with Pre-Check last week was great.